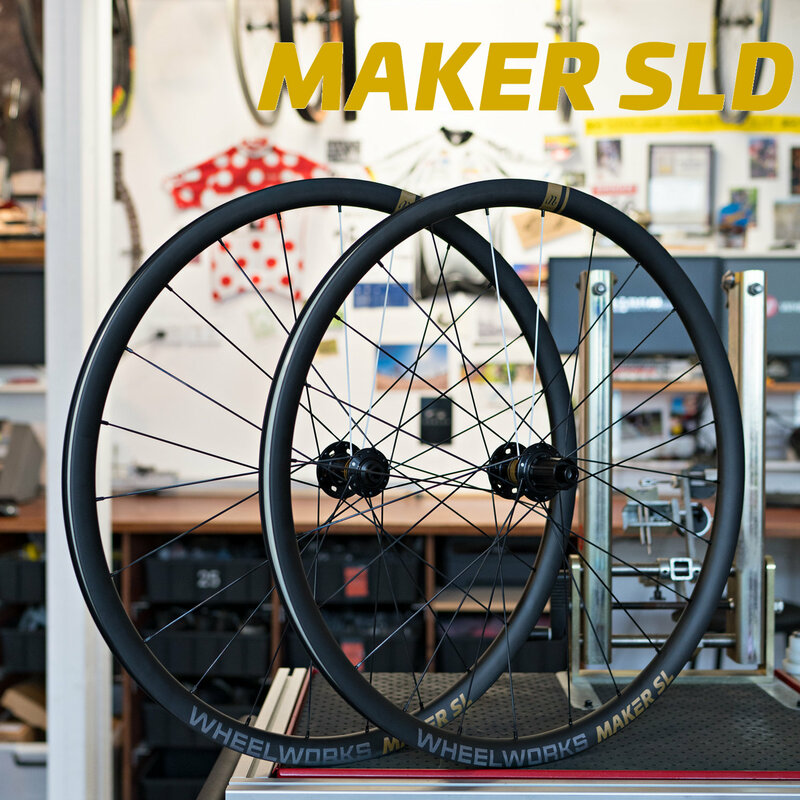 The Maker SLD is the wheelset that I wanted to build 7 years ago. I’ve always loved disc brakes and I’ve always seen the potential they add to road bikes so back in 2011 I commissioned this Independent Fabrication road bike. Parts selection at that time was limited: there were no hydraulic disc brakes so I mated my favorite Campagnolo 10 speed shifters with Avid mechanical discs. My IndyFab was built as a wet-weather and all-surface road bike with room for wide tyres and fenders – what we now call “all-road” or “gravel bikes” – and it rocked.